Come for the art -- stay for the shopping! Mural completed by Jason Woodside at Silver Fox. 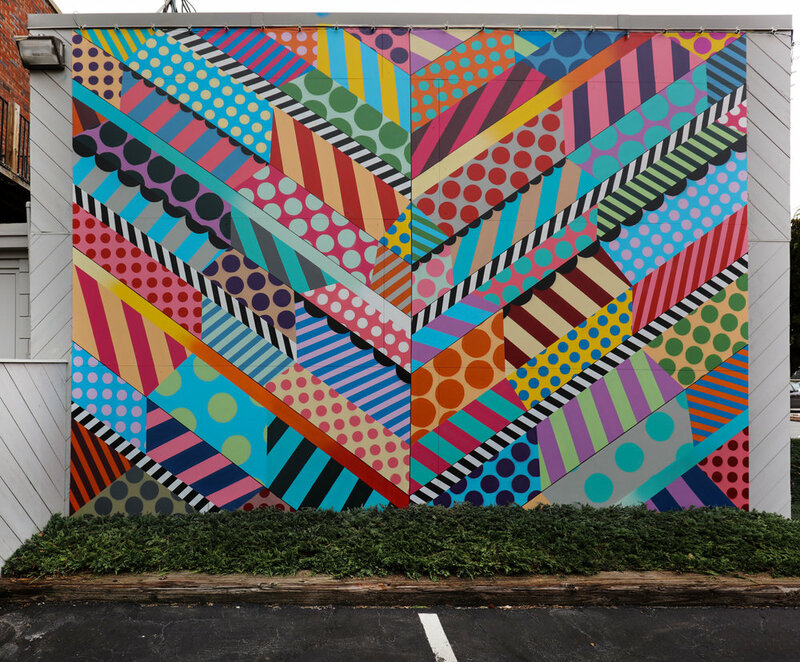 This mural was funded from a private contribution to The Avenues Public Art, project led by TJ Moberg. Woodside is now represented by Moberg Gallery and his 2D paintings will be featured in their next exhibit opening November 2nd. Jason Woodside attended School of Visual Arts, New York City. He currently lives and works in NYC and has collaborated or been commissioned by Colette, Adidas, Saatchi & Saatchi, Haydenshapes Surfboards, WeWork, Obey Clothing, Faberge and New Museum. Woodside’s murals can be found in NYC, Paris, LA, Madrid, Detroit, and now Des Moines. WOW! Spring and Summer Sale Goes to 50% Off! Spring/Summer Sale Begins on 6/21! Fall and Winter Merchandise Further Reduced! All remaining spring and summer sale merchandise now reduced to 50% OFF! A beautiful selection of beaded bags available in store now. It's Sale Time -- Come by Starting Thursday! For fabulous photos of Silver Fox clothing and accessories in DSMmagazine go to http;//www.dsmmagazine.com/2017/04/12/spring-into-style/#jp-carousel-20820. Pick up the May 2017 issue of Cityview and go to pages 102-105 to read "Des Moines Style What Is It?" to get the latest take on fashion trends in Des Moines. Mary Langen, Silver Fox owner, is interviewed on page 105. Bring a friend and get a jumpstart on the best time of year -- Summer! Sensational dresses, fun hats, colorful scarves, comfortable tops, cool capris, lightweight sweaters and ponchos, straw bags, unique jewelry and everything you want for a relaxed, easy Summer. Thank you for stopping by our website. Please check back periodically for photos of new merchandise, special offers, and updates on what's happening at the store.